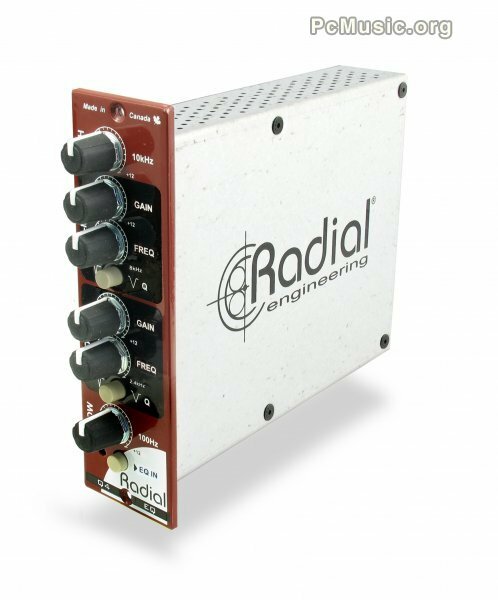 The Q4 is a line level device designed to interface with balanced pro audio recording systems. It features four EQ bands with fixed low and high frequency shelving at 100Hz and 10kHz, plus two semi-parametric mid bands that span between 300Hz ~ 2.4kHz and 1kHz ~ 12kHz respectively. Each mid band is also equipped with choice of wide or narrow Q to open up the sweet spot or tighten it for surgical precision. All frequencies are set with up to 12dB of boost or cut. The EQ may be bypassed to compare the pre and post effect.